Greetings everyone! As this is partially a call for photos, I thought I'd put it here in the Darkroom. I'm really interested in any reboot dolls that you rebodied to a different body either for articulation or to return to the G1 body. I'm REALLY interested in heads that were from non-articulated dolls that got new articulated bodies. All the heads I have are rather firm and I wanted to see and hear from those of you that have successfully rebodied. Thanks! 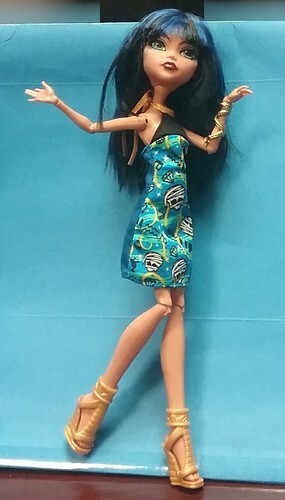 Finally was able to take a decent pic of my rebodied Emoji Cleo. 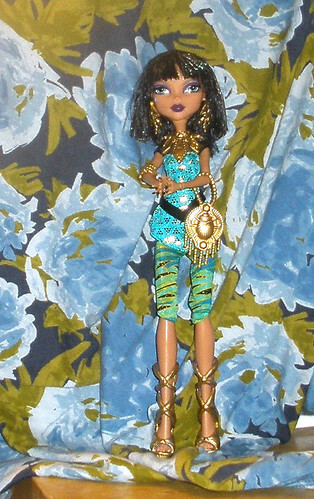 I added a gold bracelet, because after all, Cleo is royalty. I enhanced her eyebrows and eyes too, to give her a more haughty look. I want to add wrappings in the form of either a scarf, belt, or something similar since she has to wear some. The idea of her having a large portion of her body in wrappings on her reboot look just doesn't work for me. I know this is an old thread, but I thought I'd add a couple more pics to it. 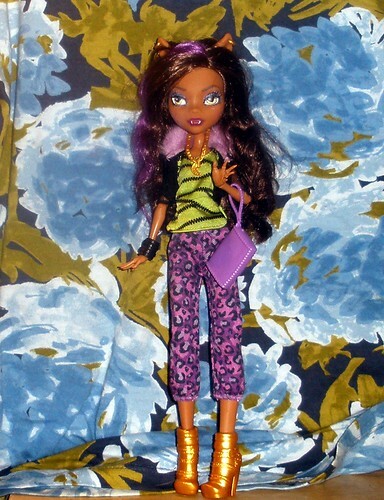 This one is of my reboot Clawdeen, on a G1 body. I repainted her eyes to make her look more like her G1 version. They came out pretty nice IMO and she looks so fierce now! This one is reboot Cleo on a G1 body. I tried to repaint her eyes to resemble her old look more, but it didn't work. They still seem much too large IMO. I'm also pondering repainting her shoes. Other than that, I love her outfit, hair and accessories. Thanx! I really love Clawdeen this way. I'm seriously considering wiping Cleo's reboot look eyes and giving her G1 eyes. They're still too big for my tastes. I will give that some thought, thanx! Thanx! I didn't completely repaint her eyes, I just carefully narrowed down the size of her pupils.